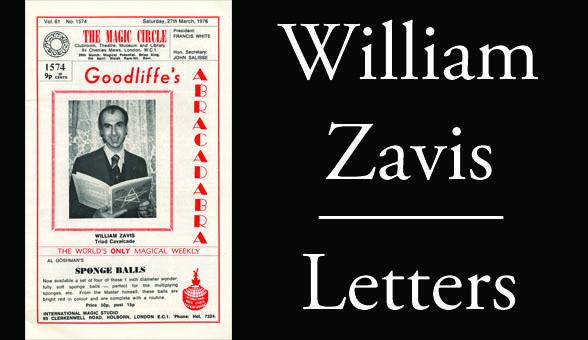 The research center holds a vast trove of correspondence between a great number and variety of magicians. One section of the collection comes from William Zavis and is especially valuable for research purposes because he generally kept copies of his outgoing correspondence along with the letters he received. Further, Mr. Zavis worked as a US Foreign Service Officer for the United States Information Agency, or USIA, which meant he was stationed in a number of different countries, making his correspondence decidedly rich in its variety of locations and number of correspondents.